What is the point of Social Media for my company? Let’s start from the beginning. What is social media? Social media is a term used for websites or applications that enable users to input, interact, share content and collaborate in a community environment. Websites and applications such as forums, microblogging, social networking, social bookmarking, social curation and wikis are among the different types of social media. For example: Facebook, Wikipedia, LinkedIn and Pinterest. Using this community based communication enables your company to increase brand exposure and broaden customer reach through the generation of valuable content. This content needn’t be long, in fact many social media channels restrict the amount of characters you can use. This provides the perfect venue to deliver short, precise marketing communications to your current and potential customers. Social Media marketing (when done right) can lead to more customers, more website traffic, and more conversions. Your increased visibility gives you the opportunity to talk to more people. Not just people familiar with your brand but individuals searching for the keywords you rank for. Regular interactions with potential customers will build your brand recognition, your credibility (trust and familiarity) and your opportunities. Every post you put up is another potential path back to your website. The more quality material you post on social, the more inbound traffic you will be generating. 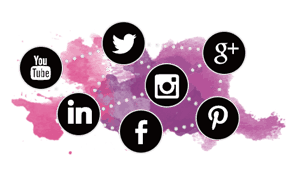 Google and other search engines see being active on social as a ‘brand signal’ that you are legitimate, credible and trustworthy – so to improve your SEO, social is a must. Nurturing your social media audience can turn into good quality leads so when they reach your website, they are more likely to convert. To nurture your social media audience ensure you inject your personality into social media posts. People buy from people, so the more character you have, the higher your conversion rates. If you need help to build your social media marketing strategy, then we would be more than happy to help. Give us a call on 01536 560 435.